The Safford Mills Inn and Caf offers the ambiance of the past with the modern amenities of today. We are not a typical Out in the Country Peace and Quiet Bed and Breakfast but an In-Town Night Life A and A...Accommodations and Aperitifs. Every weekend our Martini Bar and Cafe is abuzz with activities going on until late evening. Make us your evening destination where you can unwind in our cozy common rooms with a martini wine or dessert before you retire for the evening. 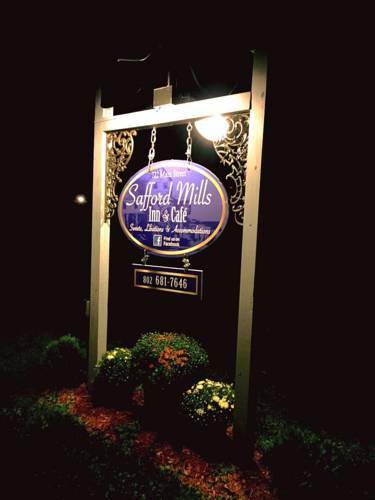 The Safford Mills Inn and Cafe offers the ambiance of the past with the modern amenities of today.